FIXPINO, an Interspinous Implant, is an s-shaped metallic device that is inserted between the spinous processes. It is made of a single machined piece of Ti-6Al-4V Eli titanium alloys (ASTM F 136).The FIXPINO is designed to increase the cross-sectional diameter of the stenotic canal in patients suffering from neurogenic claudication. The S-shaped spacer fits between the spinous processes and the wings are designed to prevent the implant from moving. Furthermore, the S-shaped spacer can make inserting the implant easy because the S-shape can be compressed.DioMedical Co., Ltd. utilize the state of the art technology and apply the essential requirements of cGMP and ISO 14630 from the beginning stage of the device design to manufacturing and inspection. Common name: interspinous fixation system. The Fixpino interspinous fixation system is intended Radiographically confirmed moderate to severe stenosis with neural element compromise resulting in claudication and/or radicular symptoms isolated to 1 or 2 levels, in the region of L1 to S1 with or without concomitant low back pain. The fixpino interspinous fixation system is designed to insert the cross-sectional diameter of the stenotic canal in patients suffering from neurogenic claudication. The fixpino has S-shaped metallic device that is inserted between the spinous processes. The S-shaped spacer fits between the spinous processes and the wings are designed to prevent the implant from moving. 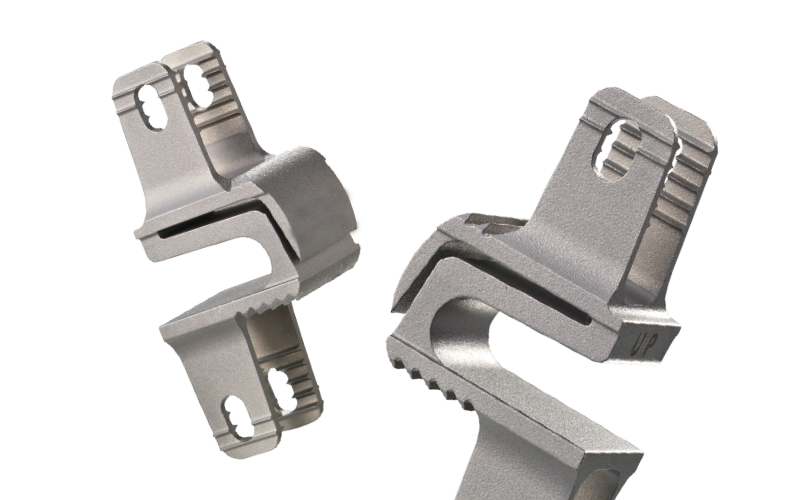 Furthermore, the S-shaped spacer can make inserting the implant easy because the spacer can be compressed.